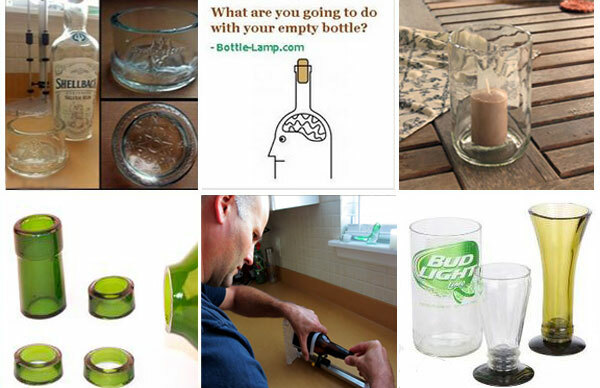 Many DIY projects use cut recycled bottles now, bottle crafting truly has come a long way since we created our first lighted wine bottle. Just like most hobbyist we have evolved over time and started creating cool projects using various bottle cutting tools. Over the past several years Nick has been able to test and review several different bottle cutters. You can read all of our bottle cutting articles here. After all the testing we found this bottle cutting tool kit is by far the best on the market! 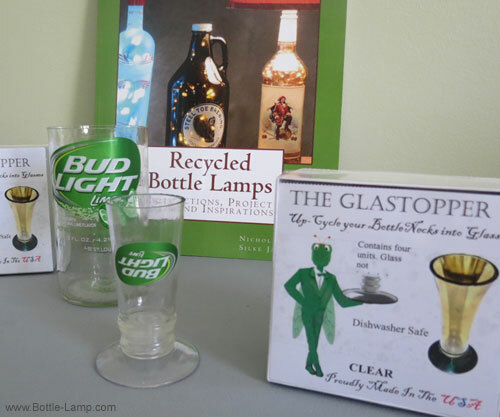 Turning recycled glass bottles into unique glassware is pretty easy as long as you have the right cutting tools. The Creators Bottle Cutter Ultimate Edition is a turn-key product ready for use right out of the box. 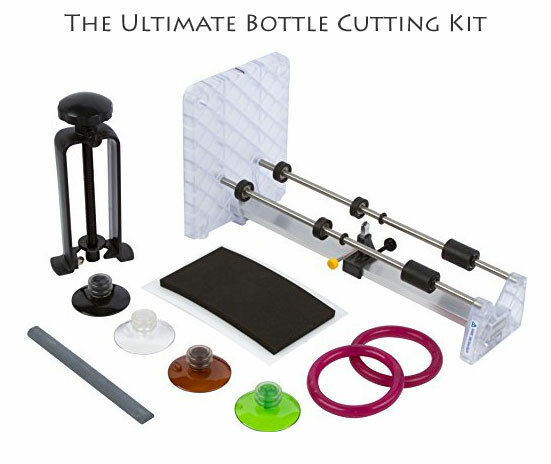 At only $144.95 this complete bottle cutting kit is an absolute steal. Create vases, drinking glasses, glass guitar slides, unique napkin rings… and whatever your imagination can come up with, all within minutes. 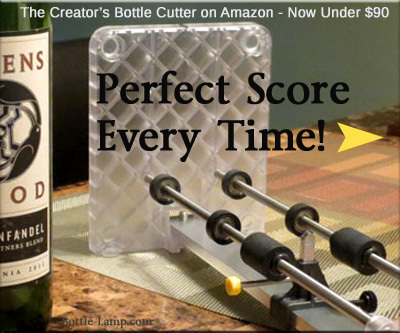 Bottle Cutter – High-tech, dependable bottle cutter that is simple to use and creates precise scores around the bottle. Constructed from a poly-carbonate plastic, durable stainless steel slide bars, enclosed rubber coated ball bearing rollers (to keep out glass slivers), and is the only Made In USA bottle cutter with a carbide cutting wheel. 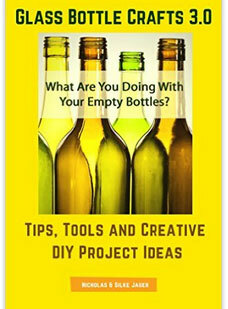 You can score beer bottles, wine bottles, square bottles, triangular bottles, oval bottles. Just about any bottle with a flat bottom. No other bottle cutter on the market can do that with any degree of precision that the Creators Bottle Cutter can. Bottle Neck Cutter – The Creators Bottle Neck Cutter allows you to quickly and safely cut the neck off a bottle. Made in the USA, the Creators Bottle Neck Cutter gives you a precision cut each and every time. Glastopper – Featuring a hard plastic base and rubberized stems, this amazing new gadget will fit about any bottle top size. Smoothing/Abrasive Stone – The smoothing stone is 6 inches long and has a grit size of 180. It is a half-round stone so it easily gets into the neck of a bottle. It perfect for smoothing sharp edges and works great with water to eliminate glass dust. Palm Protector – This cushioned pad will protect your hand and allows the bottle to spin easily while making the perfect score line, every time. Separating Rings – The two rubber rings will help you with the separation of your bottle. Simply slip the rings on the bottle after you created your score line, one on each side. It will help channel the water to quicken the separation process. The Creators Bottle Cutter can score beer bottles, wine bottles, square bottles, triangular bottles and oval bottles. Just about any bottle with a flat bottom. No other bottle cutter on the market can do that with any degree of precision. This is our go-to bottle cutter… we promise you, you will not be disappointed. I very much want to cut wine bottles on a path where they lay on their side, horizontally, not vertically; how do I do this? The links provided will take you to the reviews that we did for both of these bottle cutters. Are you referring to the Bottle Neck Holder? The ultimate, user friendly gadget that gives your bottle tops exquisite new shapes and purposes. The Glastopper allows you to instantly turn your bottle tops into pieces of art. The possibilities are endless! Easily create shot glasses, candle holders, flower stands, pen stands, flower vases, or goblets. Featuring a hard plastic base and rubberized stems in black, clear, rock star green or rootbeer brown, this amazing new gadget will fit about any bottle top size. Made in the USA, food and dishwasher safe. Only $14.99 for a set of 4, they make great gifts for your favorite bottle crafter. I am looking for the bottle bit that you reviewed. 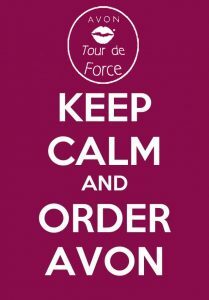 Where can I find it on your site? 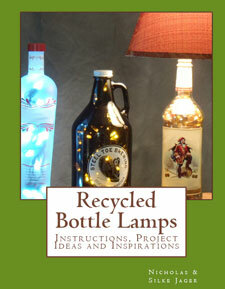 Which Bottle Lamp Kit is right for you? Our Books Make Great Gifts!